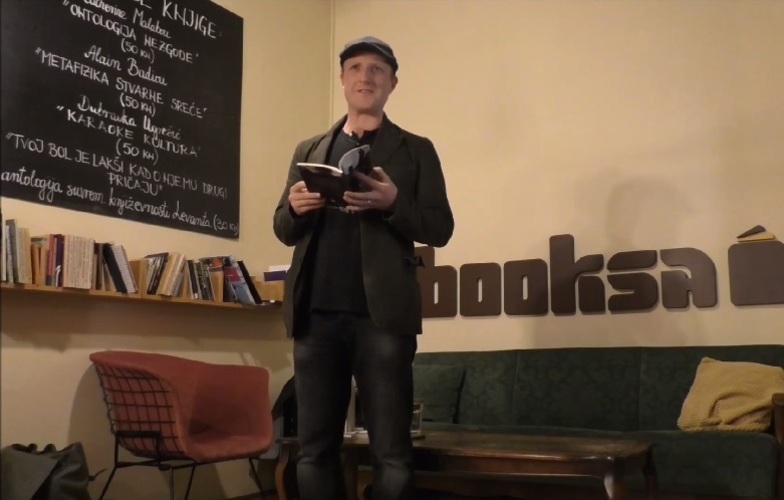 Zagreb audience met the Irish poet and performer Neil McCarthy back in May 2015, and now Neil came back to present his much anticipated debut poetry collection Stopgap Grace in Booksa (Zagreb) on 23 March 2018. Neil's poems have appeared in journals and anthologies all over the world and have also been translated and published in Romania, Hungary and Serbia. Stopgap Grace, published by Salmon Poetry, is the culmination of 10 years of a travelling and working while casting a sometimes poignant, sometimes critical eye on the island he left behind.